The best part of writing a food recipe blog with someone is that you can sit and compare family recipes like this Beef Picadillo. Both of our moms were tremendous cooks but rarely used written recipes. 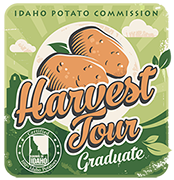 Most of the meals came from what they learned growing up. 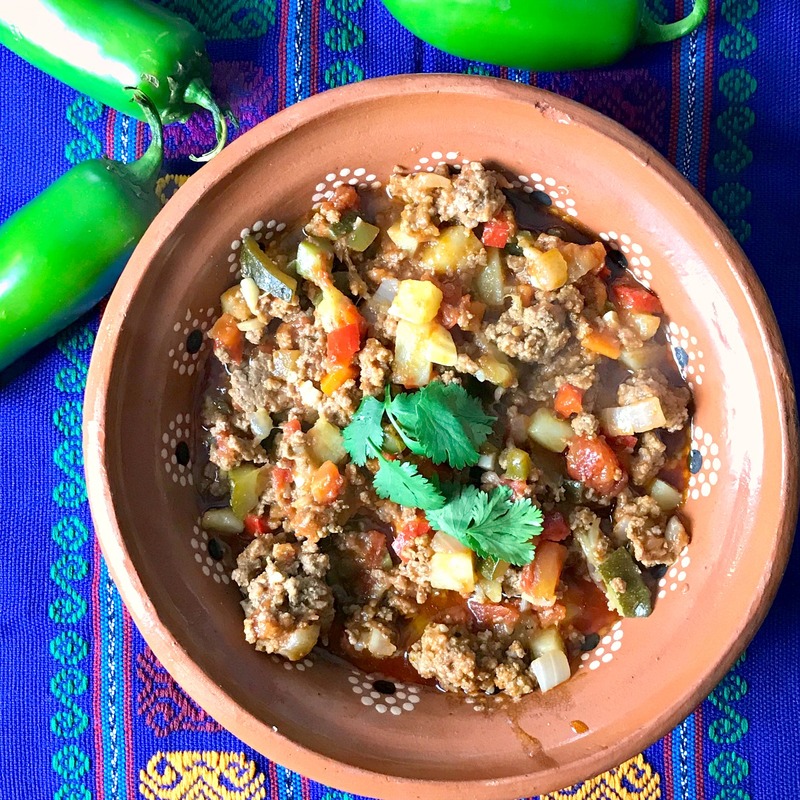 Recently, we were talking about Mexican Picadillo recipes. We started to laugh because we both had similar stories. Beef Mexican Picadillo was a standby dish both our mamas would make in a pinch. Between loads of laundry and picking us up from school, they would whip this dish up and all of us kids would be scarfing it down with warm tortillas, rice, and beans. We love beef picadillo! This beef picadillo recipe is a simple, traditional dish made all over Latin America. Each country has their own special version of it. It will fill your home with a mouthwatering aroma. Once you have your ingredients chopped, the whole meal comes together pretty fast. The serrano chiles add wonderful heat but feel free switch them out with any of your other favorite chile peppers. Not into heat? Then add some corn, peas or green olives. The recipe yields a lot, but you’ll need plenty because beef picadillo is a great left over. You can eat the savory meat and vegetable mixture in a burrito, tacos, empanadas, over spaghetti noodles, stuffed in a bell pepper, etc. The possibilities are endless. Heat oil in a large frying pan over medium-high. Add the onions and cook for 2-3 minutes or until the onions become translucent. Stir the onions to make sure all the bits are coated in oil and not sticking to the pan. Stir in the carrots, garlic, and serrano peppers and cook for about 3 minutes. Add ground beef and use a wooden spoon to break up the meat into small pieces. Cook for about 12 minutes until the meat is cooked through and brown. Pour in the tomato puree, apple cider vinegar, potatoes, cumin, red pepper flakes and the bouillon cube. Mix it all together, incorporating everything well. Season with salt and pepper. Cover and allow the potatoes to cook for about 15-20 minutes, or until soft. Serve with pinto beans, Mexican rice, and corn tortillas. Just cooked this, came out really good. Thank you. I’ve used this recipe a few times and it is the best! Not dry and the whole family enjoys it. I do substitute the potato for butternut squash. shh, don’t tell the children. 😉 Thanks! Super yummy! Only we didn’t have tomatoes so I substituted 1 1/2 cans of el pato, beef broth, And jalapenos instead of Serrano. Super spicy and full of flavor. Glad you enjoyed it Kristina! 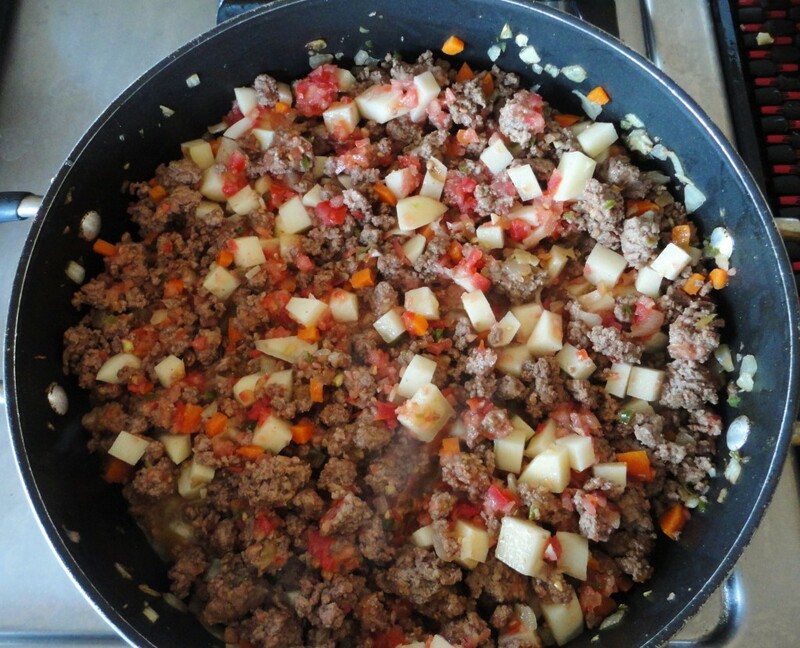 I just made the Mexican picadillo recipe to use in my Puffy Tacos for this evenings dinner. The leftover filling will be used in my empanadas tomorrow. I really like your version of picadillo, not dry the last recipe I tried last month, Muchas Gracias !!! hi, i was confused by the recipe direction. step number 2 is also in step number 1. I panicked. I figure out where i was going to get more onions. then I figured it out. Thank you for catching that error. Will correct it now. Provecho!